It was good weekend to be a Quinnipiac Bobcat fan and not just a fan of the men's hockey program. While the men's team swept a weekend slate against Brown and rival Yale, the women's hockey team also swept the same teams and both the men's and women's basketball teams both won on Saturday. For the men's team sweeping the weekend was important for ECAC positioning as they remain in fourth place in the conference which is the final spot for a first round bye. Cornell currently in fifth place still has two games in hand on Quinnipiac so its going to come down to the finish for playoff positioning. With the weekend in the rear view let's take a look at how some of the future Bobcats did over the past week. 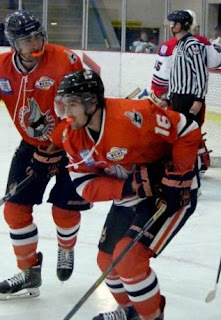 Nanaimo Clippers (BCHL) 1997 forward Matt Creamer had a two goals and one assist in two games played this weekend. He has a three game point streak going (2 goals and 4 assists). In 49 games played this season he has 29 points (15 goals and 14 assists). The 6'1 195 pound forward is expected to be part of the 2017-18 incoming freshman class. On the season in 49 games played he has 15 goals and 14 assists (29 points). 1996 forward Matt Forchuk had another three point weekend with a goal and two assists in two games for the Canmore Eagles (AJHL). He currently leads the AJHL in scoring with 72 points (22 goals and 50 assists) in 45 games played. He is part of the Bobcats incoming 2017 recruiting class for next season and will be expected to have a big role next season. Hamden, CT native Joe O'Connor is starting to get into a groove after missing more than half the season with an injury. Over the past week the 1996 defenseman has had a goal and two assists. He has four points (1 goal and 4 assists) in seven games this year. 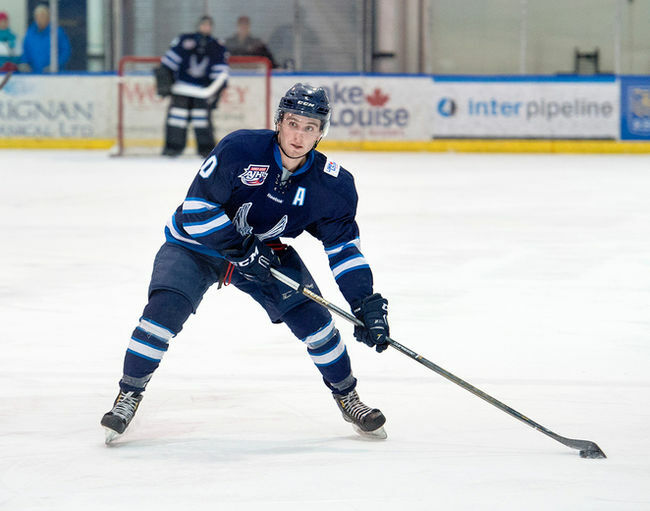 A season ago he was just shy under a point per game player from the blue line with 52 points (14 goals and 38 assists) in 55 games for Brooks Bandits (AJHL). He is part of the Bobcats incoming 2017 recruiting class and brings some size and scoring ability from the blue line. 1997 forward Odeen Tufto continues to play well for the Tri City Storm (USHL). He had a goal and assist in three games last week for the Storm. In eight games since his trade to Tri City he has seven points (3 goals and 4 assists) in 8 games. In 38 games played this season he had 28 points (8 goal and 20 assists). Having already signed his national letter of intent he will be part of the Bobcats 2017 incoming class. One of the newer Quinnipiac recruits continues to produce as a prep player at Kimball Union Academy. In his last four games, 1998 forward Matthew Lombardi has six points (2 goals and 4 assists). On the season he is up to 40 points (15 goals and 25 assists) in 29 games played and averaging 1.38 points per game. He will head to juniors next season after graduating from Kimball Union. Salisbury School 2000 defenseman Peter Diliberatore has four assists in his last six games for the In 23 games played the Nova Scotia native has 10 points (3 goals and 7 assists). His USHL rights are held by Sioux Falls Stampede (USHL) and the Halifax Mooseheads own his rights in the QMJHL. Quinnipiac picked up two new commits since Friday starting with 2001 forward Connor Tait from Team Maryland 16U. I wrote about Tait here. On Saturday the Bobcats picked up a commitment for 2017-18 season from Devin Moore out of Brockville (CCHL). Moore has 42 points (19 goal and 23 assists) in 49 games played. You can read more about Moore here.